Have a question about Wrightsville Beach? Feel free to contact us and we&apos;ll be glad to help. 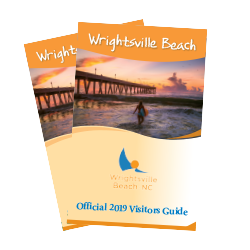 The Wrightsville Beach Visitors Center is located at 305 W Salisbury Street. Hours of operation are Monday - Wednesday 10:00 am-2:00pm, Thursday 10:00am-3:00pm, Friday & Saturday 9:00am-3:00pm, and Sunday 1:00pm-4:00pm (April - September). Main Visitor Information:The main Visitor Information Center is located in an authentic 1883 railroad freight warehouse in Downtown Wilmington at 505 Nutt Street, Unit A. Open Monday-Friday 8:30am-5pm, Saturday 9am-4pm and Sunday 1-4pm. Closed Thanksgiving and Christmas Day.